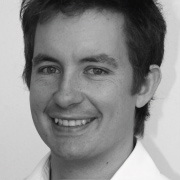 Joel has worked at Sydney City Podiatry clinics since 2001 and is a director of Hills Sports Podiatry. Originating from Adelaide he was member of the South Australian cricket team ‘The Southern Redbacks’ which educated him on the demands of professional sport. The cricket career ended prematurely but Joel continued to have a keen interest in sports injuries and has provided podiatry services to the UTS Australian Rules Football Club and junior NSW soccer players. Additionally Joel has been a guest supervisor at the University of Newcastle (Ourimbah campus) and has mentored students as part of their clinical placement studies. Joel’s current clinic locations are Bella vista, Darlinghurst and Chatswood.